The Bold Reds club features International red wines showcasing, yep, bigger and bolder flavors, that are more tannic and fruit forward. These are not your typical easy-drinking wines but they're perfect for pizza, grill nights, and all forms of meat. More than anything, we love surprise factor of these wines. Every time we open a box, we sort of grimace at the prospect of drinking a Rhone red or an Barolo (wines that we typically don't enjoy because of our own palate preferences), but we're always surprised at how the wines are enjoyable anyway, and usually much better than we were expecting. We'd love to see four-bottle shipments offered by this wine club as a way to help mitigate the cost. The company offers a reliable, quality-driven service, so you don't really get deals on the wine in the shipments. Given its specialty nature, the discount aspect of the wine club is not a primary concern. A Bold Reds Club membership costs $51.95 for 2 bottles of wine. Shipping costs extra and is $13.00 per shipment plus sales tax where applicable. The price per bottle, with shipping, is $32.48. The Bold Reds Series Wine Club is a two-bottle wine club featuring big red wines from around the world. It is a special selection of red wines from International Wine of the Month Club and is the ideal gift for the International red wine lover. For some people, a robust, red wine with deep color and rich, complex flavor profiles, is the only way to enjoy wine. The Bold Reds Wine Club is the perfect gift (for you or someone else) if medium- to full-bodied wines with deep fruit flavors, pronounced ripe tannins, superb structure, and well-integrated oak tones from barrel aging are desired. Shipments include California Cabernets, single vineyard red Zinfandels, Priorats and Ribera del Dueros from Spain, Châteauneuf-du-Papes from the Rhône Valley, Carmenères, Cabernets, and Malbec blends from South America, and much more. At WineClubReviews.net we take an objective approach to our star ratings system. Our written reviews are very much subjective, based on our 5+ years of wine club review experience and our own ideas about what good wine and good value mean. The star ratings are based on 11 attributes that we feel define what a wine club should be. Here is how The Bold Reds Series stacks up on these traits. Our 100% satisfaction guarantee ensures that every item you purchase at International Wine of the Month Club meets your high standards or we will replace it or refund your purchase. We've been drinking International Wine of the Month Club's wine on a regular basis for more than seven years now, though we've only received one shipment of the Bold Reds series. The wines from International Wine of the Month Club are of good quality and they're consistent, and the wines received in our shipment of Bold Reds are just that. In more than five years of working with International Wine of the Month Club we have never had a single customer complaint. Our usual Internet sleuthing failed to turn up any significant customer complaints. Kudos to them! A personalized wine club used to mean you picked the color of your wine and how often you received your two-bottle selection. With International Wine of the Month Club, they are more flexible than most other traditional clubs. You can choose not just the frequency of shipments, but also how many shipments (if you're prepaying) and you can also choose whether to pay up front, or pay as you go. We feel The Bold Reds Series offers quality wine at a fair price. By fair, we mean close to retail. International Wine of the Month Club is a more old-fashioned company. If you need to hold your service for a vacation or want to cancel your membership you'll need to call and speak to someone during regular business hours. You can change your address online, as well as create a product review. The Bold Reds Series Wine Club is a little unique in that they've chosen to focus on bigger red wines instead of just any red wine. They have a nice International selection of wines available in a two-bottle monthly wine club. We do love their Design-Your-Own-Club program though! We think The Bold Reds Series from International Wine of the Month Club is an excellent gift. 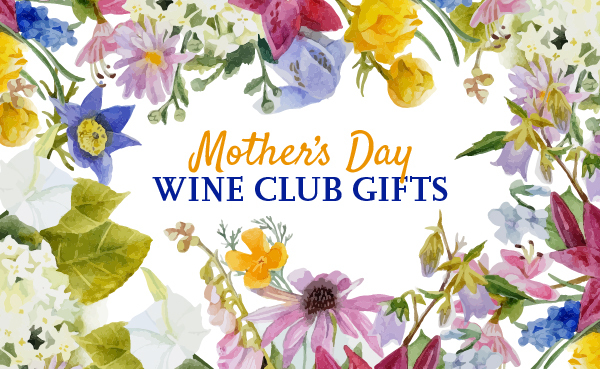 Whether you're buying it as a corporate gift or just a regular gift for your favorite wine lover, it's a great and affordable choice.